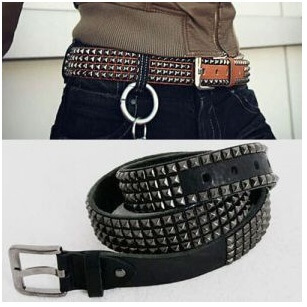 Accessories - Street-edge Cowhide Funky Stud Belt for only 28.00 !!! Looking for some funkiness in your life? 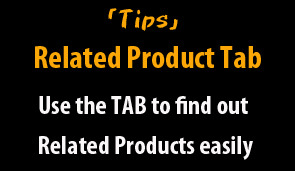 Try this smart and street edge belt that is created out of bets quality cowhide. 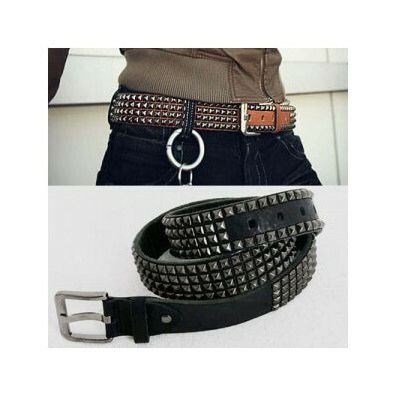 Equipped with multi studs and a decent buckle, this smart belt looks no fat to show its style. Make your own fashion statement and try this super cool belt to accessorize your closet. Want a chance to look cool? Get yourself on the fully fashion mode and try this belt now. Durable in nature, this cowhide created belt can stay with you for longer span. It can really rock your looks and personality. Get this style enhancing accessory for your closet and fit your jeans right with this best looking belt. 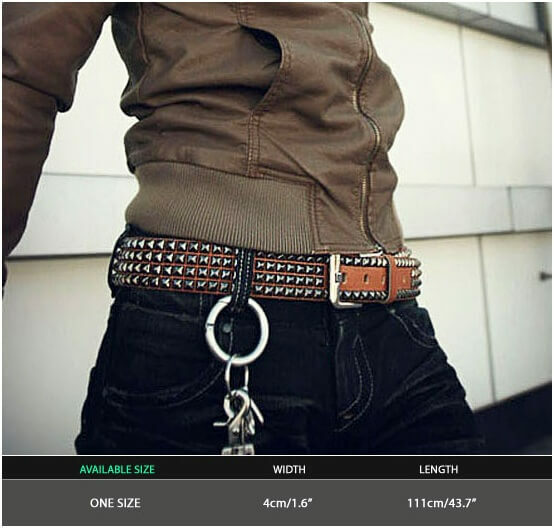 Create new options for fashionable look and one of that can be this can be the belt. A belt with elegant design can stay for you for long as it would have timeless design. Enhance your closet right now and make an impression of the hipster. Add your outfit an eye-pleasing funky fun. This tough-chic leather belt will add a powerful fashion vibe to any modern men's uber cool casual collection.